One thing that I’d really been looking forward to ever since I came to Jordan was visiting Petra. It has all those things I love: ruins, churches, history, camels… But we had to wait to visit until we got the iqama, our residency permit, otherwise we would have to pay 50 JD instead of just 1 JD. A completely justifiable reason… until we ended up not getting the iqama. It’s just one of those things that you have to let roll off your back. If you think bureaucracy is bad in the United States, don’t even think about trying to get things done here. Sometimes things happen and sometime they don’t. Sometimes entirely different things get done instead. Piece of advice: if you plan on studying abroad in Jordan and traveling while you’re here, buy a multi-entry visa before you come. You can only get a single-entry visa good for one month at the border when you arrive (which is beyond easy), so if you decide to leave and re-enter the country you have to buy a new visa. This is true even if you go to the police station and extend your visa. If you don’t register with the police before a month is over, you’ll get fined (about 1.5 JD) for each day that you’re over. There are of course several exceptions. I’ve heard varying details regarding entering/exiting at Aqaba or to the West Bank by way of the King Hussein bridge… It’s a complicated mess and things don’t stay consistent. So be forewarned: you may wait months and not get your iqama. Better to be safe than sorry. This was also the reason we got a flight to Jordan that could be changed. That extra money paid was useful when Middlebury changed the program dates and didn’t tell anyone. We only learned that we wouldn’t be getting the iqama about a week before we left on our trip to Petra and Wadi Rum, but thankfully we didn’t end up having to pay 50 JD each to enter Petra. I have no idea how that went down. There may have been some super secret discussion/agreement going on with the people manning the gate. You’d be surprised as to how far you can get by speaking Arabic/having Jordanians with you. 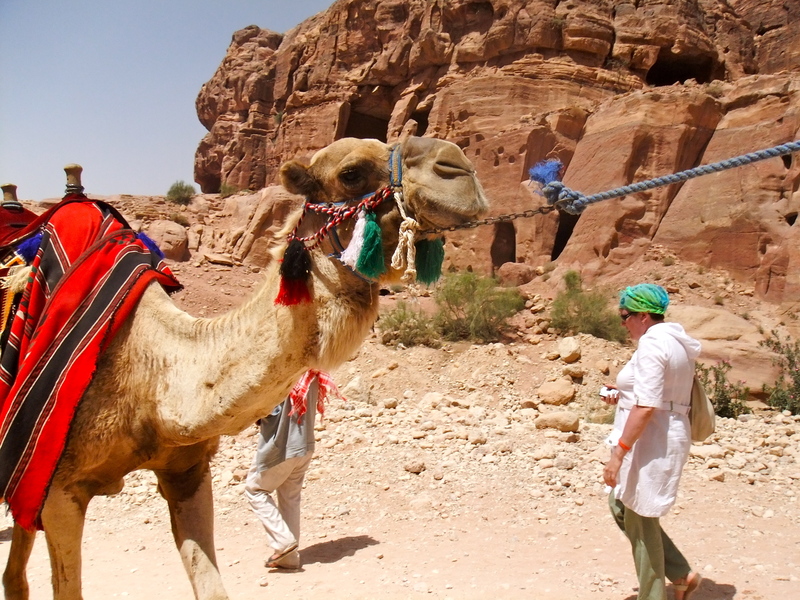 Fact: Any place with camels is an awesome place.